African pay TV operator StarTimes has reduced its decoder and antenna prices for new subscribers who sign up before March 31. 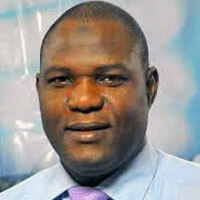 The prices have been cut from N10,500 (US$29) to N7,500 for its DTT antenna and from N9,500 to N6,500 for its SD decoder. The HD decoder is now N7,500, and the HD decoder and antenna together cost N8,900. “StarTimes is the top destination for news coverage during this season. We now have a lot more news channels. We recently added PlusTV Africa to our news channels, while the existing ones, such as TVC, Channels and NTA News 24, remain,” said the company. Chinese-owned StarTimes has a strong presence in Africa, offering digital terrestrial television and satellite TV services. It also owns a featured content platform, with 440 authorised channels. Chinese-owned pay TV platform StarTimes has launched a digital satellite TV service in Kpaduma, an underdeveloped rural community in Abuja. The move gives the residents of Kpaduma the opportunity to watch programmes on satellite in the town for the first time. The project was undertaken by StarTimes as part of an effort to provide 1,000 Nigerian villages with access to digital television under an aid programme that came out of the China-Africa summit in 2015. Each village is to receive a 32-inch TV and two sets of solar-powered projectors, allowing villagers to watch local and international digital TV shows. Mohammed added that this would strengthen the relationship between China and Nigeria and urged StarTimes to hasten the installation of the TV satellite system in other parts of the country. StarTimes – in partnership with Nigeria’s public TV company NTA – has made digital TV available to many Nigerians since 2010. African pay TV firm StarTimes has added a 24-hour news channel to its platform. PlusTV Africa provides news relating to sports, entertainment, politics, business and more. 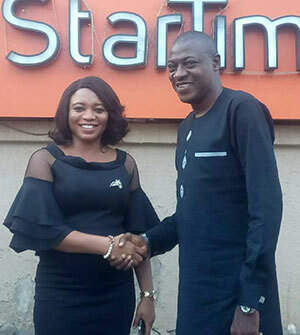 StarTimes brand and marketing director Qasim Elegbede said: “PlusTV Africa is proof of our effort in meeting the demand of our subscribers seeking more news and entertainment channels. 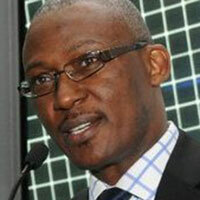 Kayode Akintemi, MD and editor-in-chief of PlusTV Africa, added: “Our mission is to change the narrative of news reportage in Nigeria and across Africa by providing 24-hour objective, fair and balanced stories with incisive and robust analysis that create in-depth understanding through programmes that are informative, engaging and empowering with a view to challenging leadership and proffering solutions for political and economic growth. PlusTV Africa is on channel 308 on digital terrestrial television and in all StarTimes bouquets. Africa’s largest pay TV operator MultiChoice has called for regulations to be imposed on Netflix as it blames the US-based streaming service for the subscriber losses it has suffered since 2017. As a result of Netflix’s popularity among African viewers, pay TV companies MultiChoice and StarTimes are experiencing serious challenges to their business models and revenue streams. 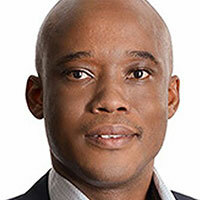 In a recent report by Quartz Africa, Calvo Mawela, CEO of MultiChoice, said his company had lost over 140,000 subscribers to Netflix, including 100,000 in the past financial year. The streaming service, he said, is also free from any affirmative action regulations, which gives the US firm a major advantage. Even though pay TV companies are already competing with local streaming platforms like Iroko, Netflix’s plan to focus more on Nollywood and African content is set to create another area of competition for these companies in 2019. While pay TV companies work on having better streaming services and pricey data plans, Netflix has deployed a dedicated server in Nigeria in partnership with Spectranet in order to have a secure connection for its Nigerian audiences and also provide customers in Nigeria with a better video-streaming performance. Despite the fact Nigerian movies such as Genevieve Nnaji’s Lionheart, Kunle Afolayan’s October 1st and Biyi Bandele’s Fifty are available on Netflix, thus creating competition in the Nigerian market, all hope is not lost for MultiChoice. The South African company still has three of its indigenous African Magic stations on DSTV, namely Africa Magic Yoruba, Africa Magic Hausa and Africa Magic Igbo. 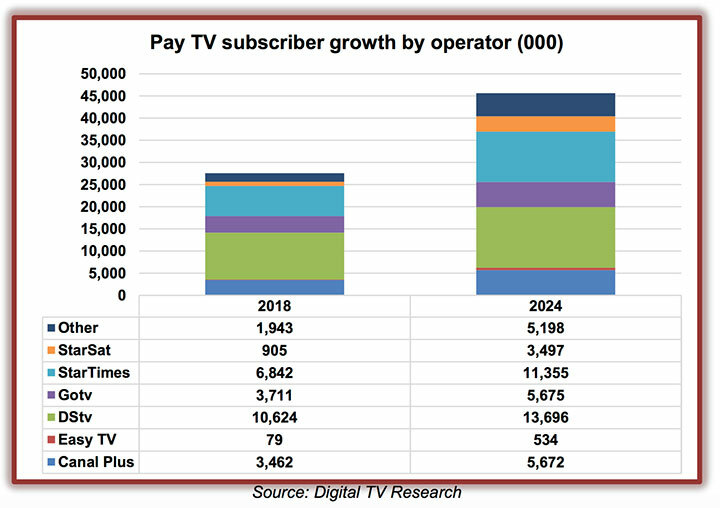 Although the competition would impact viewers across Nigeria, perhaps leading to possible lower subscription fees for streaming and TV content packages, it will now be a fight between four major contenders: MultiChoice, StarTimes, Iroko and Netflix. Pay TV company StarTimes has joined the fight against HIV/AIDS and called for more support to be given to Nigerians with the virus. Justin Zhang, CEO of StarTimes Nigeria, announced the news at the recently concluded World Aids Day event held at the Banquet Hall of the Presidential Villa in Abuja. “StarTimes is committed to the complete eradication of HIV and AIDS in Nigeria using its media footprint across the country and its ability to reach millions of Nigerians even in villages where aid workers are not able to access,” Zhang said. 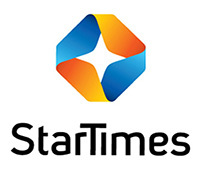 Digital TV operator StarTimes has launched a new brand, StarTimes ON, for its OTT business. StarTimes ON claims to be Africa’s top online video streaming service, with more than 150 channels in at least 10 languages. It covers movies, series, news, music, sports, documentaries and kids’ content. The launch has led to the upgrade of the original StarTimes app to StarTimes ON. “More excellent international and local channels will be put online, and diverse and rich contents will always be the core of StarTimes ON service,” said Ariel Lin, operation director at StarTimes ON. Some of the top international channels available on the service include Fox News, BBC World News, France 24, Bloomberg, AMC Movies, Fox Life, Passions TV, Baby TV and NGC. StarTimes ON has also imported local content from TV stations like NTA, ZNBC, TVM, TBC, KTN, RTI and RTs. Users can access ST Novela Plus, ST Nollywood Plus, ST Dadin Kowa, ST World Football and ST Sport Premium, plus sport including Fifa World Cup, UEFA Europa, boxing, Bundesliga and Ligue 1 matches. Nigerian actor Adebayo Salami has produced Yoruba-language series Alagbara exclusively for pay TV company StarTimes. 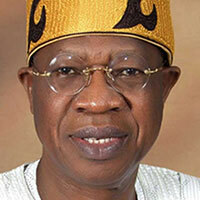 According to Salami, the 26-episode educational series was produced solely to promote Nigerian culture. Salami also appears in the show and the other cast members include Ronke Oshodi Oke, star of 2000 movie Oshodi Oke; Toyin Adegbola; Yemi Solade; Femi Adebayo; Sotayo; Dele Odule; and Bukky Arugba. Although the release date for the series has not yet been announced by the Chinese-owned pay TV company, it is currently undergoing its final edits. African pay TV platform StarTimes is partnering with a Chinese production company to release an animated film and series in Nigeria. StarTimes has linked up with Minglang Production, based in Hangzhou, China, to release Travel With The Wind next year. At the screening of a promo for the movie at Ozone Cinema in Lagos, Rosana George Hart, business manager at Silverbird Film Distribution, said: “Minglang Production has been promoting Travel with the Wind in big film markets around the world, aiming to enhance cultural exchange and promote international friendship. “Knowing full well that Nigeria has the most robust film market in Africa, Minglang decided to publicise the animated movie here while hoping to maintain a long-lasting partnership with Silverbird Group. 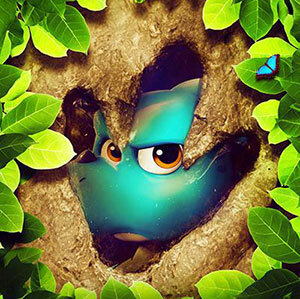 Other animated films produced by Minglang Production include Legend of West Lake, New Tunnel Warfare and Legend of Tang. 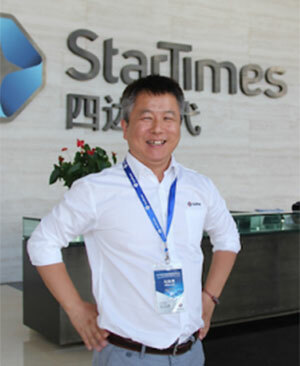 StarTimes is a Chinese multinational media company with strong presence in African pay TV. African pay TV platform StarTimes is joining forces with the Joint United Nations Programme on HIV & AIDS (UNAIDS) to make youths all over Africa more conscious of HIV/Aids. This initiative will be made possible with the introduction of a mobile app. 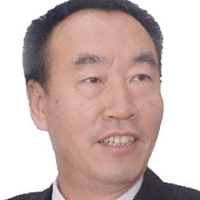 The move was revealed at a meeting held in China by StarTimes group VP Guo Ziqi, First Lady of the Republic of Malawi Gertrude Mutharika and UNAIDS executive director Michel Sidibé. With the theme being the Value of New Media in African HIV/Aids Prevention Campaign, Sidibé claimed that most African countries do not have access to information even though about 70% of the population is below 35 years. He said: “We have seen progress in most countries today, but the biggest challenge that we face is complacency. The young people don’t have information, they don’t have knowledge, so they don’t protect themselves. Information, knowledge and education – that’s why StarTimes is very important for us. With the increase in usage of the internet and mobile phones in Africa, there will be a huge change in the way people now communicate. Like in other parts of the world, more African youths have grown accustomed to using their phones to watch videos and stream content. “Sharing information, bringing knowledge and making sure that we can change young people will be key for ending Aids. 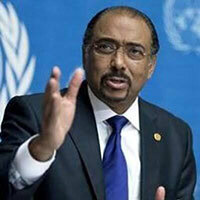 Our recent approach will completely change the situation and help us to go for a generation free of Aids,” Sidibé added. “Based on this trend, StarTimes launched its video streaming service in the African market with the StarTimes app in June. Within three months, the app had eight million downloads and the figure is expected to be 15 million at the end of this year,” said Ziqi. Pay TV digital operator StarTimes has acquired the broadcasting rights to UEFA Europa League soccer in Sub-Saharan Africa up to 2021. The rights cover only English, Portuguese and local languages in English- and Portuguese-speaking areas, with the exception of South Africa, Lesotho and Swaziland. Qasim Elegbede, StarTimes’ brand and marketing director, said: “This summer’s Fifa World Cup was a success and fans really appreciated that we brought them the International Champions Cup exclusive and live right after. We then thought that they would be delighted to watch another European club competition on StarTimes. The football matches can be watched on all sports channels on StarTimes. The news follows StarTimes’ recent coverage of the first African Freestyle Football Championship live from Lagos earlier this month. The aim of the competition was to select the best male and female freestyle African football champion from all over Africa. As well as the competition, there were side attractions and entertainment from Nigerian artistes like Kcee, Falz, Slim Case, Mr Real, Mayorkun and Tanzanian recording artist Vanessa Mdee. Guiness world record holder Iya Traore and female freestyler Raquel Benetti from Brazil were also present. Freestyler Abdul Titi Kone emerged as the winner, taking home US$3,000 and a new car given by GAC Motors. The second, third and fourth positions were held by Riesco, Abdullah Emad of Sudan and Ashley Mkhize of South Africa, who won US$2,000, US$1,000 and US$500 respectively. 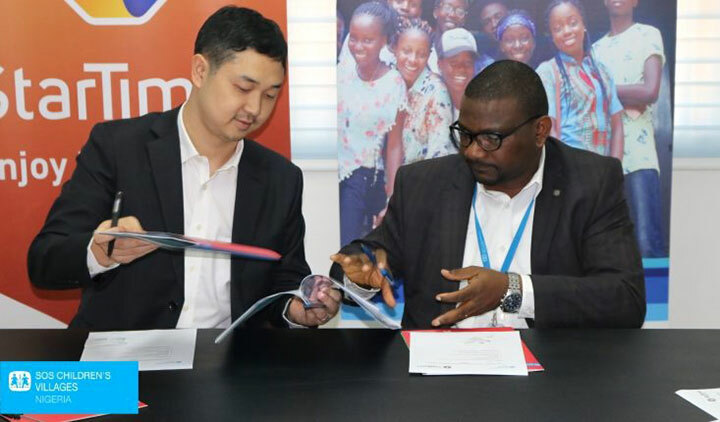 Pay TV platform StarTimes and the Nigerian arm of international charity SOS Children’s Villages have signed a memorandum of understanding. The partnership will see the organisations aid families and empower young people by training and mentoring them, in line with United Nations Sustainable Development Goals. “Since we commenced providing affordable digital pay TV in Nigeria, we have invested heavily in the development of youths and children in the country,” added Justin Zhang, CEO of StarTimes Nigeria. SOS Children’s Villages builds loving, stable families for children and young people in 135 countries and territories. The charity claims to be the largest non-governmental organisation dedicated to the care of children who have lost or are at risk of losing parental care. StarTimes is one of the leading digital television operators in Africa, serving over 10 million subscribers with about 440 channels consisting of news, movies, series, sports, entertainment, children’s programmes, fashion, religion and more. Pan-African pay TV operator StarTimes has given its customers access to all its channels for free for one month and will reduce prices thereafter. All channels will be free to subscribers until the end of August, after which the cost of the Classic Bouquet will drop from N2,600 to N1,900. Kunmi Balogun, StarTimes public relations manager, added: “This reinforces our commitment to ensuring our customers enjoy the best for less. Starting from September 1, all StarTimes subscribers will enjoy more entertainment for less, with the addition of new entertainment, movies and kids’ channels. StarTimes offers more than 400 channels, including Ebony Life TV, ST Nollywood Plus and Fox. It is one of Africa’s leading digital TV operators, with more than 16 million subscribers across the continent. African digital pay TV operator StarTimes has launched a new device enabling the delivery of premium content to digital TVs. StarTimes is partnering with Hong Kong-based SMIT Corp to launch its new conditional access module C1+ 1.3 CAM in Africa. Conditional access modules (CAMs) give subscribers’ secure access to content via digital TVs without the need for a set-top box. 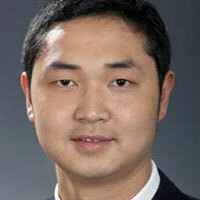 Daniel Ge, general manager (GM) of terminal business at StarTimes, said: “SMIT is our competent and reliable CAM supplier. With the launch of the first CI+ 1.3 CAM in Africa, StarTimes once again shows our powerful leading market position by constant technical innovation and reformation in the African pay TV industry. 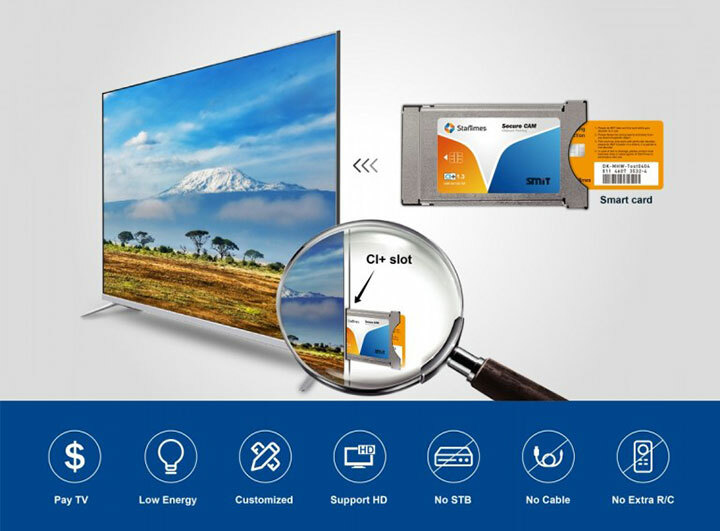 Bingyu Xiang, GM of CAM products at SMIT, said the new device “brings a high-quality viewing experience on TV to subscribers,” giving StarTimes more choice in how it deploys its services. StarTimes is one of Africa’s leading digital TV operators, providing content to more than 16 million subscribers. Leading African pay TV company StarTimes has revealed it aims to foster the relationship between the Chinese and African media businesses. The focus is on “reviewing trends, developments and cooperation towards digitalising broadcasting in Africa as well as the over-the-top industry, which is upgrading the African television landscape,” he said. Guo Weimin, deputy director of the State Council Information Office of China, said the country is interested in helping to develop African media and ensuring a solid partnership between China and Africa. In line with this vision, StarTimes Nigeria recently partnered with the Ooni of Ife, Adeyeye Enitan, to empower the less privileged with the Hopes Alive Initiative (HAI), targeting young people. In June, StarTimes also disclosed it was working with the Nigerian government to create mentorship and technical programmes to help empower Nigerian youth. 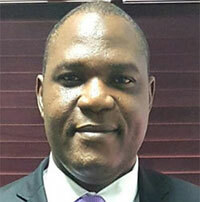 StarTimes recently acknowledged Nigeria as its largest market. African pay TV platform StarTimes has disclosed that it is working with the Nigerian government to boost economic growth by empowering young people. William Masy, overseas PR director, brand and marketing at StarTimes, disclosed that the Chinese company is promoting digitisation and youth empowerment by working with the Nigerian government in line with the United Nations Sustainable Development Goals. Masy revealed that the company will offer mentorship and technical programmes for Nigerians. “Demographic rates are fast increasing and so is the pressure of job creation,” he said. “Our two countries need to work closely to provide the relevant job training opportunities for youth. And we are intending to build our manufacturing base in Nigeria. StarTimes is one of Africa’s leading pay TV companies. 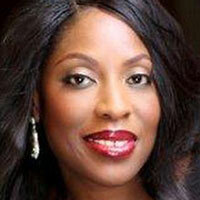 It recently acknowledged Nigeria as its largest market, with three million subscribers. Pan-African pay TV company StarTimes has launched its VoD service with a new video-streaming app. The Chinese-owned company, which recently disclosed it has three million pay TV subscribers in Nigeria, also said it will give discounts to the first 40,000 app subscribers. Customers who subscribe to ON Sport on the app before June 14 will pay only N450 (US$1.25) to have access to its programmes and watch all 64 Fifa World Cup matches live. However, those who purchase after the offer expires will have to subscribe to the service at N1,500. The StarTimes app boasts of more than 70 channels, featuring sports, entertainment, movies, music and more. As well as the World Cup fixtures, the app will include Bundesliga, Serie A, Ghana Premier League, ICC and Ligue 1 matches. Tony Tuo, StarTimes’ OTT operation director, said: “Video streaming is a future trend and StarTimes hopes our service will pioneer for African digital TV industry. “It is impossible to miss any moment of the World Cup with our app. There is absolutely no need to worry about the weather condition, signal quality, electricity or being in transit,” he said. 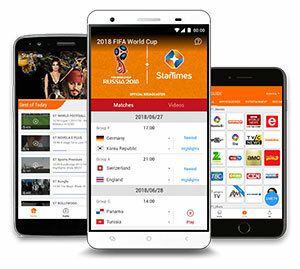 The StarTimes app can be downloaded from any app store, including Android and iOS app stores, as well as the StarTimes website. “Wherever you may be, with just a steady internet connection, the StarTimes app will get you fully entertained,” said Tuo.